Evolved Sport and Nutrition are Proud Sponsors of the 2018 6th International Conference on Sports Nutrition & Fitness being hosted in Dublin, Ireland from August 16-17, 2018! Evolved Sport and Nutrition is very fortunate to be working alongside some of the most unique and innovative companies in Toronto and the Greater Toronto Area. Here's a list of our partners. ​Our exceptional team of healthcare providers have been offering the services of physiotherapy, massage therapy, chiropractic care and sport medicine physician consultations in downtown Toronto since 1997. We have since expanded our services to also include orthopeadic surgeon consultations, physiatry, pilates rehab, medical acupuncture, prp injections, naturopathic medicine and more. Our elite team of health care professionals invite you to experience the highest standards in patient care and service excellence at our modern sports medicine, rehabilitation and athletic performance centres. TSC conveniently offers patients two state-of-the-art clinics, University of Toronto Mississauga (UTM) and Winston Park Oakville (WPO). The TSC team of sports medicine physicians, therapy specialists and clinic coordinators offer multi-disciplinary care in a comfortable, patient-friendly setting. The dedicated professionals at TSC The Sports Clinic deliver personalized treatments to professional athletes, minor-leaguers, recreational sports enthusiasts and patients from all walks of life. Our treatment services cover a broad spectrum of patient needs, from aches and pains to injury recovery and rehabilitation, injury prevention and athletic performance enhancement. Are you ready to take your game to the next level? 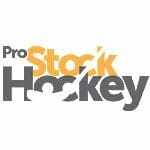 ProStock Hockey, your online resource for authentic pro stock hockey equipment, has the products and accessories you need to help you get there! ProStock's gigantic inventory of pro stock equipment includes sticks, gloves, skates, protective gear, game jerseys, practice jerseys and other NHL gear originally made for NHL players. Each item is thoroughly inspected by our team to ensure you receive the finest pro stock hockey gear possible, exactly to the specifications you expect. Our enormous selection of pro stock equipment and gear is constantly changing with more products being added every day. Whether you’re looking for a new stick, a new pair of gloves, a brand new visor, or just a couple of rolls of tape - Pro Stock has you covered! The Royal Chiropractic and Sports Injury clinic provides manual health care to their patients from all disciplines. Whether you are a weekend warrior, hockey player, dancer, boxer, baseball or tennis athlete etc., we have you covered. The Royal Clinic prides itself on offering high quality health care treatment to their patients for a speedy recovery which allows optimal performance. CrossFit 416 is staffed with CrossFit certified trainers dedicated to helping clients achieve their fitness goals while keeping safety a top priority. As an affiliate of CrossFit, CrossFit 416 is aligned with the philosophy to teach fitness based on the pursuit of function in one’s daily life (from a stay-at-home mom to an Olympic athlete). This pursuit will be measured through performance, not anatomy. SXS Fitness is a unique fitness operation designed and managed by strength and conditioning expert Stefan Overgaard. We provide and implement specialized fitness programs designed to get you results in the most efficient and effective manner. All programs are individualized based on specific goals whether it’s losing weight, putting on muscle mass, improving body composition, improving general health and conditioning, injury recovery etc. 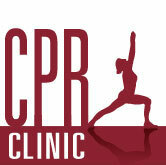 At Shey Wellness we are committed to providing expert, affordable and compassionate care to our valued clients. Our highly trained and knowledgeable team are here to help you feel your best. Your well-being is our top priority. We maintain a warm, friendly and comfortable environment to ensure your experience with us is a pleasant one. Come in a little before your treatment or class (or sit with us afterwards) to relax by reading, snacking on something nutritious and sipping on your choice of tea, freshly pressed juice or infused water. We offer free wifi so you can browse the internet or get some work done while you sit. Each of our clients receives the personal attention and care that they deserve. Carlisle Physiotherapy and Rehabilitation has been providing high quality health care services to the residents of Flamborough and the surrounding region for over ten years. During its first few years in operation, the clinic established a strong foundation in the Flamborough community by offering a variety of physiotherapy services. Since then, Carlisle Physiotherapy and Rehabilitation has expanded both their team of practitioners and their service offering, giving their valued clients more options and greater convenience. The clinic now offers a greater selection of services including: physiotherapy, manual therapy, osteopathy, acupuncture, exercise prescription and massage.